Cab Calloway School of the Arts is pulling out all of the stops for its opening show in a brand new, state-of-the-art theater. The curtain went up on Cab’s newest production of “Peter Pan.” It was the culmination of many years of planning, many millions of dollars and the talent of many great kids at the school known for putting on world class productions. When walking through the doors of the school’s new theater, you are immediately blown away by the professionalism of it all. It really does feel like you are walking into a mini-Broadway theater. From the new seats, to the lighting, and everything in between, it’s love at first sight. 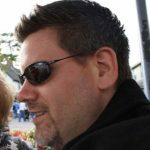 These problems should be eliminated with the new equipment. Speaking of equipment, the school spared no expense. New audio systems, lighting and everything needed to put on a professional performance were included in the remodel. You actually forget high school students are doing the work. This is their life, they chose to go to this school. They eat and sleep theater, and since it’s a “teaching theater,” these kids are graduating with the ability to go work in almost any theater across the country in a wide variety of jobs. 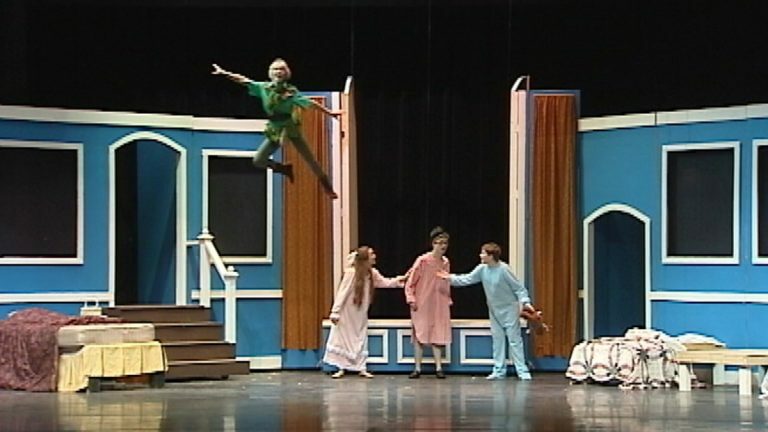 One interesting aspect of this show is that “Peter Pan” actually flies. The school brought in the same company that outfitted the national stage production of “Peter Pan” to put in the rigging necessary to give flight to the characters. It really is impressive when you see it, and again you can’t help but be struck by the fact that these are high school students performing. From Peter to Wendy, Captain Hook to the lost boys, audiences are sure to have a great time, not to mention a comfortable one due to the new seats the theater is sporting. Do yourself a favor: go see the show and bring a child. You never know, they may grow up to be the next Broadway star. The story of Peter Pan at Cab Calloway is our First Experience beginning Friday at 5:30 on WHYY-TV. Peter Pan runs now through Nov. 23rd. You can get ticket info here.